Enrollment: the Intensive Summer Language Program is open through the UW Summer Quarter. 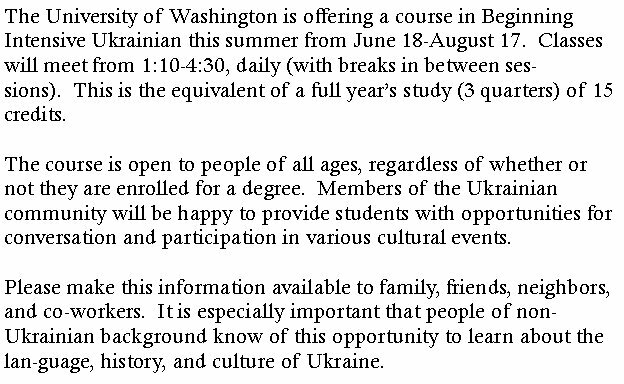 This entry was posted in Events and tagged 2012, Intensive Study, Slavic Department University of Washington, Ukrainian Language. Bookmark the permalink.